What better way to strike out against Hollywood's lack of diversity than with a film chronicling one of the most explosive moments in African-American history? That challenge was taken up by Nate Parker a few years ago when he began developing The Birth of a Nation, a film about the bloody, violent slave revolt led by Nat Turner in 1831. It debuted at Sundance earlier this year to tremendous fanfare (my review was a bit more even-tempered, I think) and secured the biggest deal in festival history, going to Fox Searchlight for an incredible $14M. 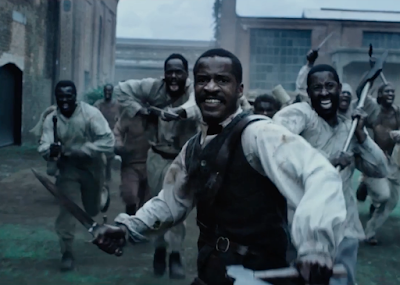 The Birth of a Nation hits theaters on October 7th.